This piece is cross-posted from www.Post2015.org. The Data Revolution for Sustainable Development has brought all kinds of data nerds out of the woodwork. Enthusiasts are talking about the need for better data, using data to make better decisions, and how best to take advantage of all types of data, from big to small, global to hyperlocal. The Cartagena Data Festival, which took place last month, was a chance for these so-called “revolutionaries” to stop talking about what the Data Revolution could be and start planning for how to get there. Plenaries and panels brought together the best thinkers from the private sector, civil society, and government, often on the same stage, and dynamic formats such as fishbowls and ignite presentations kept things moving, while bringing in many different perspectives. (You can decide for yourself whether it lived up to Sarah Lucas’ description of it as ‘best conference of a lifetime’ by checking out the archived videos of some sessions). Take collective action. There are some things we can only do together, like developing global norms, standards, and principles—to make sure data is used responsibly and that it can be open and more easily shared among the private sector, government, civil society, and researchers. Collective action means jointly identifying real world problems that data can help solve and bringing together multi-sectoral teams to solve them. It also means understanding how data ecosystems at the local, national, regional, and global levels interact and who the players are at each level. Demonstrate impact. We need to find data champions to make the case for investing in data and for using it for decision making—and we need to build on successes in addressing problems as the glue that will hold the diverse players in the ecosystem together. Increase access and equity. We need to increase access to data and ensure equitable access. This will require developing tools to support data use, especially for those who are not data experts. Build trust. To be successful, the Data Revolution needs to bring together data producers and users who don’t typically work together. This requires building trust between and among these various groups: national statistics offices, big data producers, citizens and others. Importantly, trust also requires allowing for experimentation and failure to encourage learning and sharing. Expand the tent even further. In addition to the amazing community that gathered in Cartagena, more people from the private sector, government policymakers, and Asian data communities should participate in future events. Tackle real challenges. The Cartagena Data Festival started to address this with the Data Capsule session, where people rolled up their sleeves and used data to look at how public security could be enhanced in Colombia. A World Forum could be a place where data communities across geographies, sectors, and data types could come together to work on problems that we can only solve together—things like how to collect accurate survey data more quickly and cheaply; how to integrate new and traditional sources of data to get a more complete and timely understanding of development challenges; and how to build data literacy from citizens to decision makers. Make commitments. The Data Revolution needs all of us to stand up and say how we can move it forward in our roles as individuals and institutions. This calls for tangible commitments about what data will be released, how it will be used, how privacy and other protections will be managed, and what resources will be committed. Celebrate achievements. 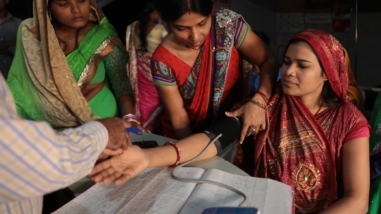 It’s not a choice between investing in data and investing in development. 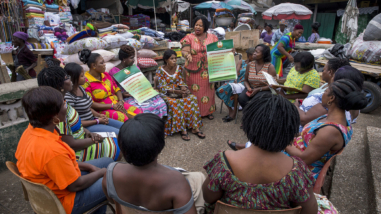 We need to invest in data for development to make better decisions and reap potential cost savings. The International Center for Tropical Agriculture and the Colombian Rice Growers Federation created a computer model using data on crop growth and weather patterns to advise farmers which crops to plant. 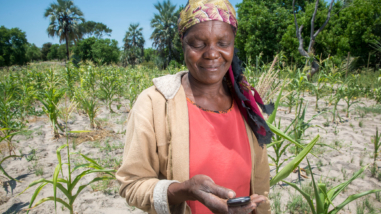 In 2013 it saved farmers from wasting US$3.8 million on seeds and agricultural inputs during a drought. The Forum needs to bring this story, and many others like it, to front page news. Stay connected. 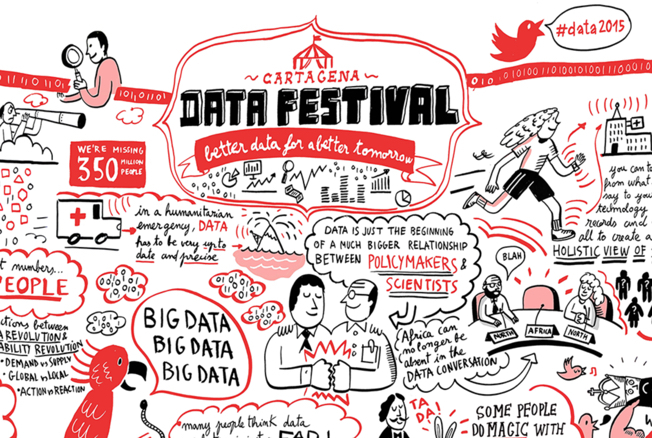 Events like the Cartagena Data Festival are always energizing. You can go for weeks afterwards on the high of meetings new people and getting new ideas. But we need to find ways to maintain the momentum between opportunities for face-to-face meetings. Whether in smaller groups that work together on focused tasks or taking advantage of technology to keep in touch, we need to go into the first World Forum with a plan for staying connected. There are already plans underway to hold the first World Forum for Sustainable Development Data in Spring 2016. Call me a data nerd, but I, for one, cannot wait.